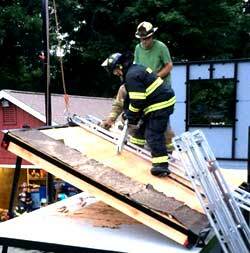 Three windows 6’ off the ground, various sizes, Upper window 14’ off the ground. Inward/Outward - Left hand/Right Hand Opening. Conventional and Hydraulic Techniques. 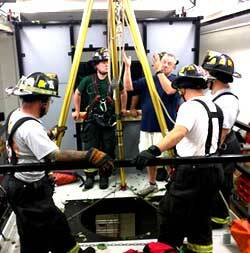 Upper manhole (36”), Lower manhole (26”), Square 4’x4’ hole. Rope and mechanical advantage techniques. Adjustable from Flat to 45 degree pitch, Integrated ceiling push down. 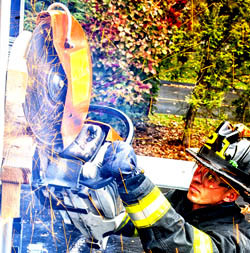 Cutting and safety tips and tricks. Safe and proper bailout training. 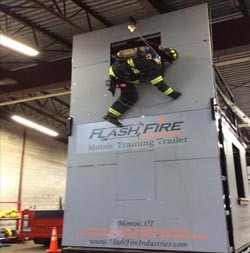 Re-Certify your members with our mobile training unit. We come to you. 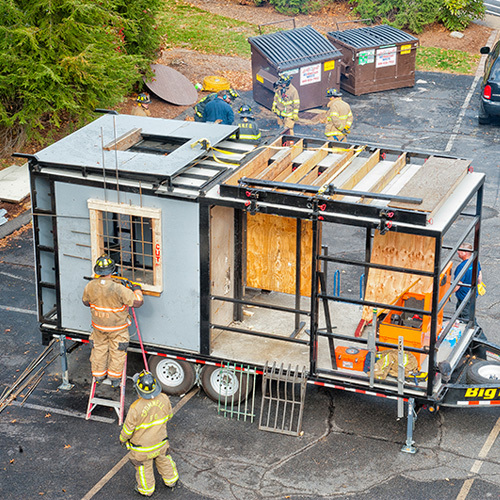 Flash Fire has a utility trailer capable of delivering a handful of quality saw operation props. These are available with, or separate from the trailer. 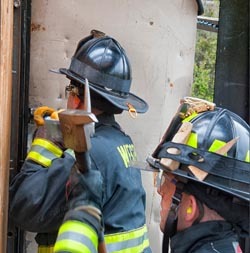 "Recently, we had a lot of new firefighters to train. 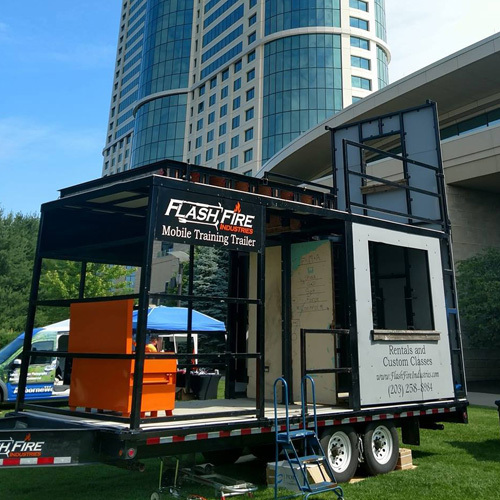 I was referred by another Department to this mobile training trailer and we were able to cover many topics in just one night. Super job." "I just wanted to say thanks. 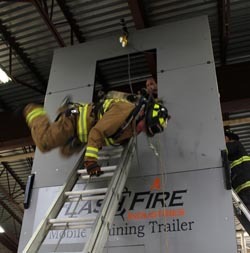 It was such a hassle to get all of our members to do their annual slides on their Firefighter escape devices until we were introduced to your training prop." Copyright © 2018 FlashFireIndustries.com. All rights reserved.